As many of you know, the pub quiz I host won the reader award for Best Pub Quiz, as voted by the readers of Salt Lake City Weekly for 2012. I put a lot of effort into the questions and we write so many every week. 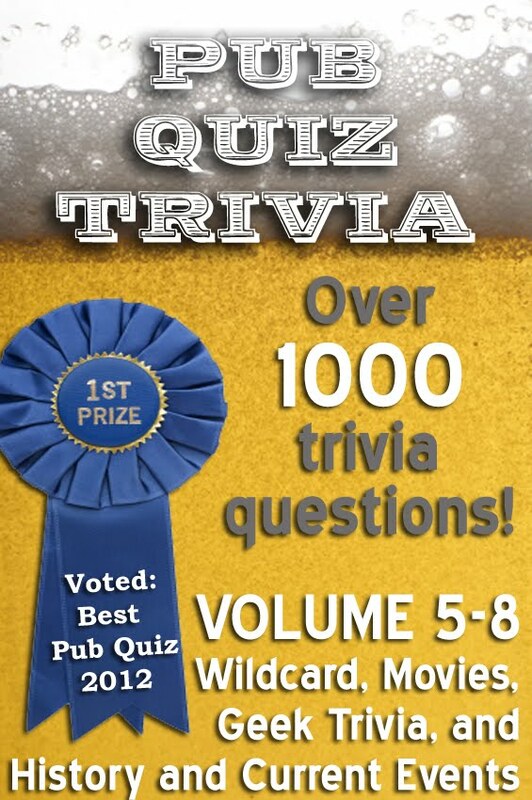 Last year, I put together 4 volumes (and one collected edition) of the pub quiz trivia I'd written to that point and it's time I unleashed another batch of it on the world. I think this stuff is much better than the prior stuff, but it's all fascinating. I can't explain how much my writing has been helped with my weekly forays into random trivia. Links for Volume 1-4 can be found here. 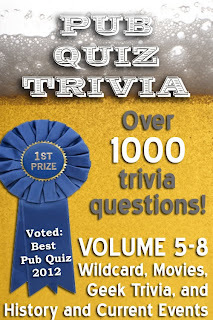 I hope you trivia buffs out there check it out and enjoy it. And for any of you out there hosting your own Pub Quizzes, it's hard to go wrong with these award-winning, crowd-pleasing questions.